In this article a time-space fractional wave equation is studied. In the new proposed fractional model, the second-order time derivative is replaced with a fractional derivative in Caputo sense, and the second-order space derivative is replaced with a Riesz-Feller derivative defined on infinite space domain. The fundamental solution of fractional wave equation is obtained in terms of Mittag-Leffler function in two parameters, that is by using the joint Laplace–Fourier transform method. We prove the continuation of the solution of the generalized Riesz wave equation as the skewness parameter tends to zero to the one of the corresponding fractional wave equation with classical Riesz derivative, this is accomplished by using the Lebesgue’s dominated convergence theorem. The optimal homotopy analysis method (OHAM) is employed to obtain semi-analytic solution of a newly proposed initial-value fractional wave problem, considering three numerical simulations. The continuation of the optimal solution and its dependence on the fractional derivative parameters are investigated. 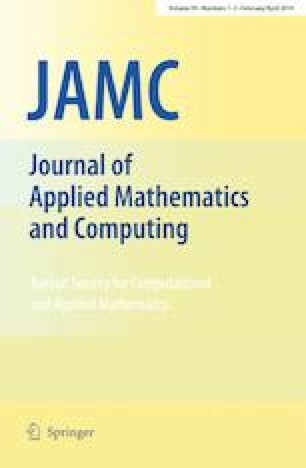 The study reveals that the OHAM is reliable and effective in case of fractional Riesz-Feller operator represents the fractional Laplacian operator.